The world’s best climbers will descend on the Scottish capital this autumn as the International Federation of Sport Climbing (IFSC) World Cup and Paraclimbing Cup comes to the Edinburgh International Climbing Arena:Ratho from 23 -24 September. Organised by EICA:Ratho, in conjunction with the British Mountaineering Council, this is the first time the IFSC World Cup has been held in Edinburgh since 2003 and the first time a Paraclimbing Cup has been held in Scotland, with over 1,200 spectators expected over the two days. Paraclimber, Keith Lynch, a member of Climb Scotland and GB Development Squad, who will be competing in the Paraclimbing Cup AL2 (lower limb amputee) category, kicked off the launch at Ratho, as the tickets for the event went on sale today. He was joined by Natalie Berry, a member of the Senior GB Lead Climbing Team. Keith Lynch, who climbs at ‘Ratho’ explained: “The British climbing scene is very exciting at the moment and with its acceptance as an Olympic sport at Tokyo 2020, it’s clear it’s developing at a rapid rate. Up to 200 of the world’s top climbers will compete in two disciplines – Lead and Speed climbing – in the World Cup while in the Paraclimbing Cup, up to 50 climbers will take part in one of 10 climbing categories. 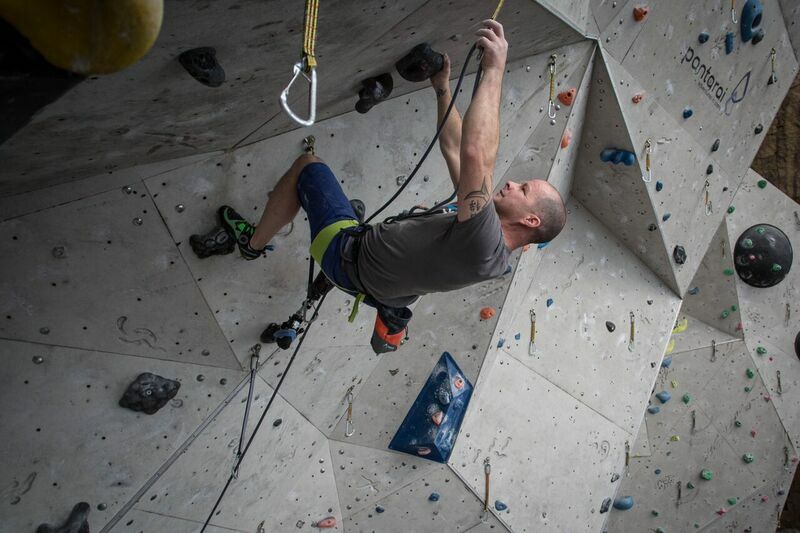 EICA:Ratho is one of only eight competition speed walls in the world and the only climbing centre in the UK suitable for hosting an IFSC World Cup Lead and Speed Climbing competition and Paraclimbing Cup. The events are being funded by Edinburgh Leisure, City of Edinburgh Council and is being supported by EventScotland, part of VisitScotland’s Events Directorate. Neill Busby, senior climbing instructor at Edinburgh International Climbing Centre and one of the route-setters for the IFSC Climbing World Cup and Paraclimbing Cup said: “As Europe’s biggest climbing centre, with more routes than any other walls in the UK, it’ll be a great opportunity to showcase the wonderful facilities at Ratho and the sport of climbing, ahead of its debut at Tokyo 2020. Stuart Turner, Head of EventScotland, said: “Scotland is the perfect stage for events and we are delighted to be supporting the return of international climbing to Edinburgh. This is an exciting time for the sport and Ratho is the ideal platform for people to see climbing first-hand ahead of its debut at the 2020 Tokyo Olympic Games. Edinburgh’s Lord Provost, Frank Ross, said: “Edinburgh boasts some of the very best climbing facilities and these Championships will see competitors and spectators travel from across the globe. “Hosting these events is a major coup for the Capital and for Scotland. It will generate valuable profile for the city and the venue and we look forward to welcoming the world to EICA: Ratho.